Take our challenge: see what fibers you can spin on a tahkli. Break the handcarding rules and spin great yarn. 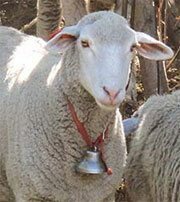 Learn how Imperial Stock Ranch keeps Columbia sheep grazing on the Oregon high desert. 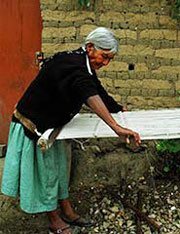 Discover an unexpected history in the Oaxacan highlands, where villagers raise, spin, and weave silk. Visit a silk factory in Wuzhen, China. Learn what's changing (and what remains) in naturally colored silk. 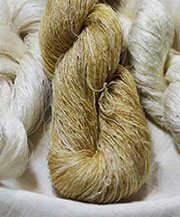 Try your hand at three methods of working with silk: Michael Cook demonstrates a traditional Lao reeling technique, Sara Lamb explains her method for spinning silk, and Nancy Morey turns silk hankies directly into yarn. Visit the SpinKnit Blog for more!